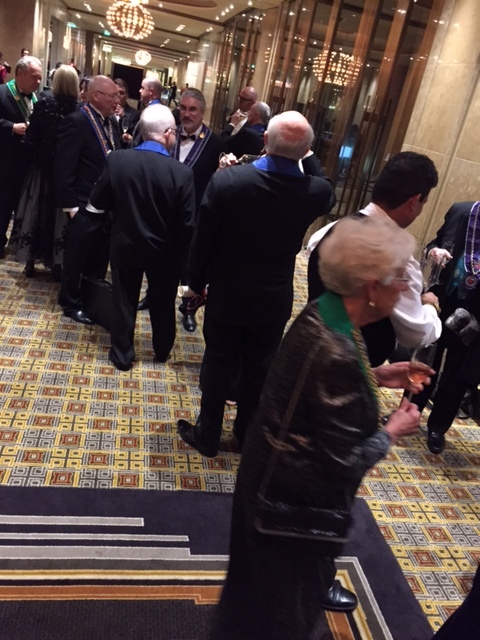 April 20, 2015 at Crown Towers, Southbank, Melbourne. 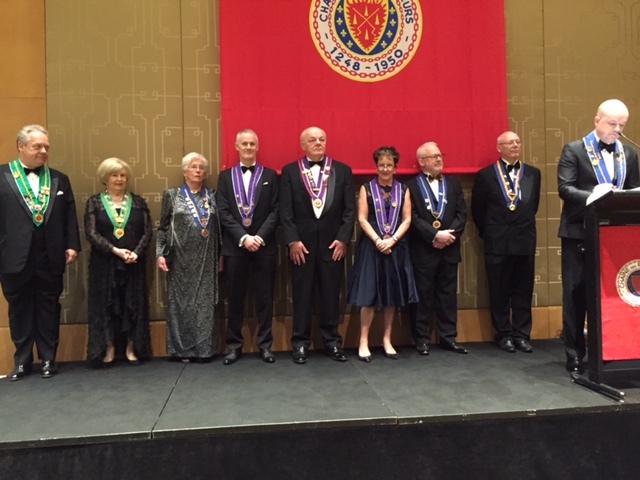 This spectacular evening was just as one would expect full of ‘pomp & vigour.’ Regional dignitaries of La Chaine des Rotisseurs & L’Ordre Mondial were present and involved in the evening’s proceedings of Le Chapitre de Melbourne. The scene was set in the garden room where the evening kicked off with the intronisation ceremonies initially for La Chaine & thereafter L’Ordre Mondial. 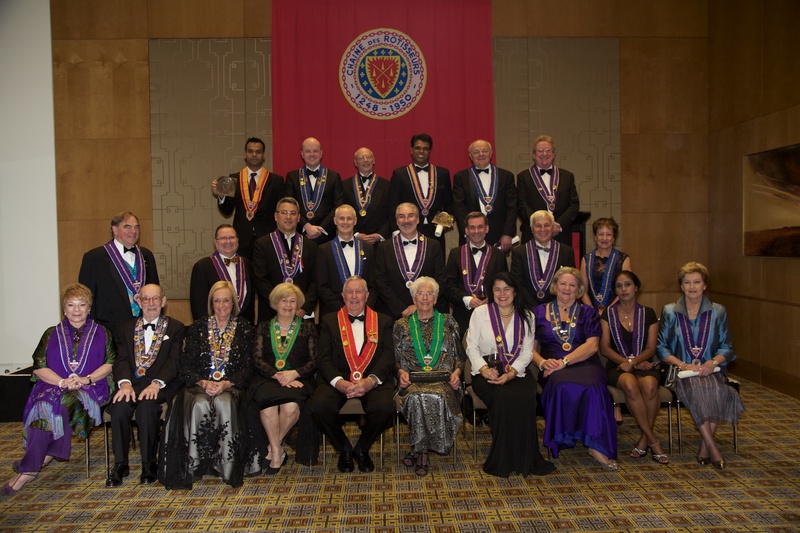 For those of you who are unaware of the history of these interesting French organisations, I would sum them up by explaining in brief La Chaine des Rotisseurs is a gastronomic club founded in Paris in 1950, and based on the traditions of the old French royal guild of goose roasters that dated back to 1248. This club focuses on great imaginative and high quality food (gastronomic delights) complemented by superb wines and champagnes. 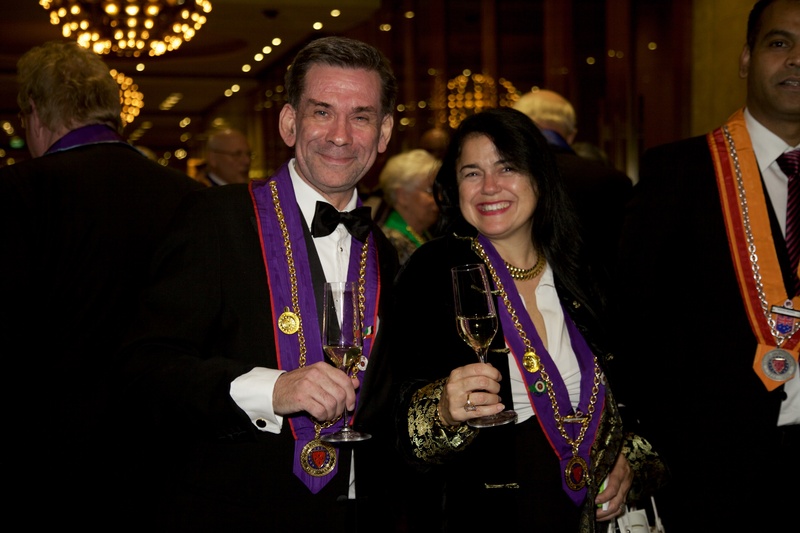 Within La Chaine is the L’Ordre Mondial des Gourmets Dégustateurs (OMGD) for members with an interest in wine and spirits. In order to join OMGD you have to first be a member of La Chaine. 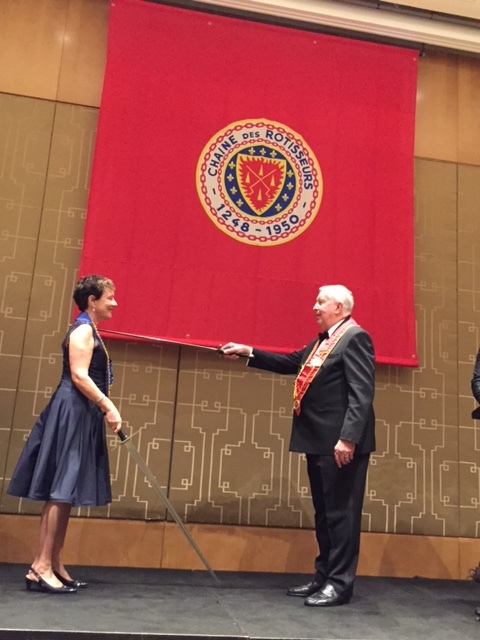 While my husband and I have been members of both for some years, we were finally able to be ‘officially’ intronised into the OMGD in Melbourne on this night. The interesting difference between the two ceremonies are La Chaine use swords and OMGD use vines to dub the members, similar to knighting them as a welcome into the two orders. Also, with the OMGD you are given a ‘tastevin’ (tasting cup) which dates back to the 15th or 16th century. It is a tool rather than an objet d’art as the people of burgundy still carry it in their pockets. 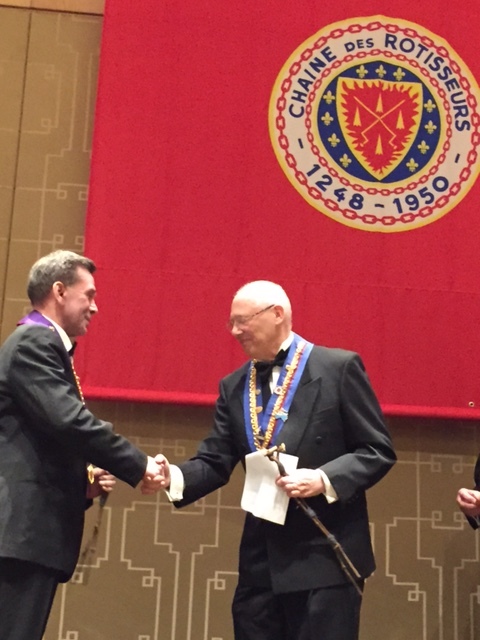 Ted Grinsted, Conseil Magistral Honaraire, Balli Delague (Singapore) Honoraire, Commandeur. Sam Giddings, Chancelier d’Australie, Vice-Enchanson , NSW Bailliage. le Dr Peter Millington, Vice-Echanson de Victoria. All the Bailliage for the Victoria Committee were present, led by Mme. Shirley Anderson, Baillie Regional de Victoria. 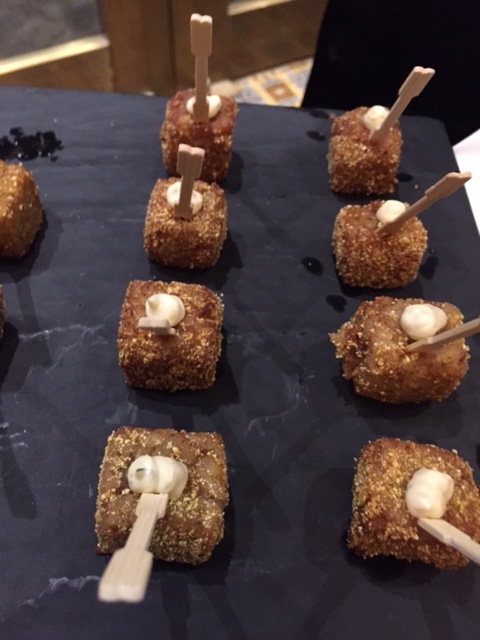 Following the ceremonies the attendees enjoyed assorted canapés. 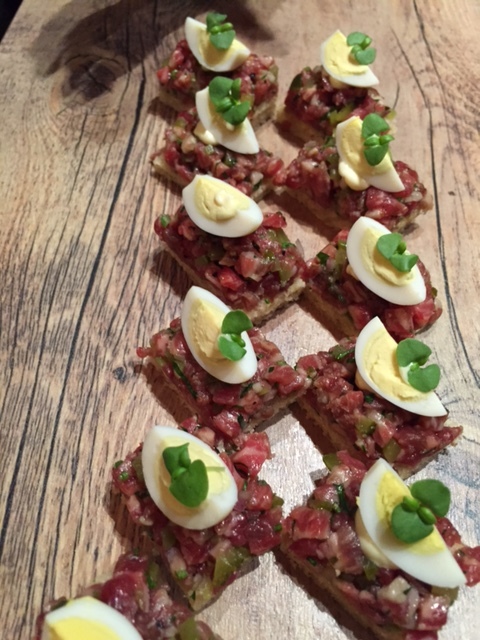 The highlights for me were the Wagu beef tartare with poached quail egg and the Black sesame seared yellow fin tuna with coriander and miso. 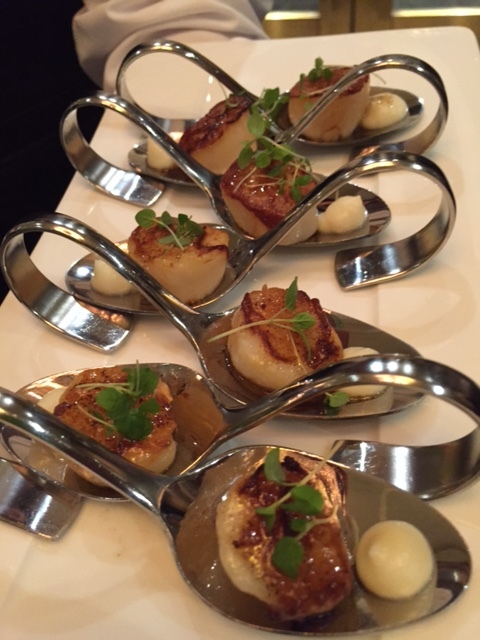 The sea scallop with cauliflower and aged balsamic and brown butter was stunning. 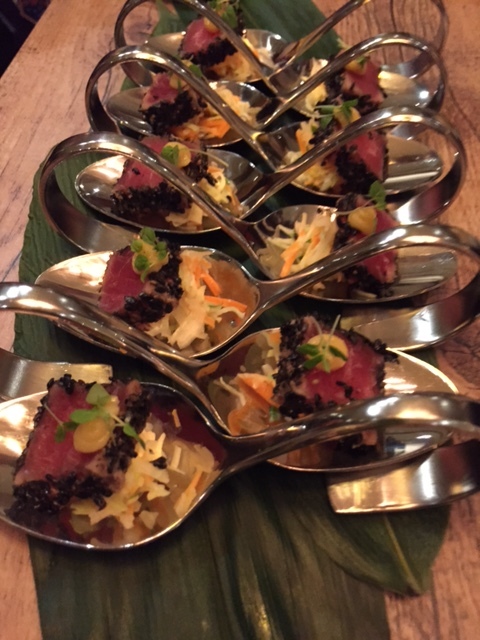 These were complemented with generous pours of French champagne: NV Pierre Peters Cuvee de Reserve Brut. 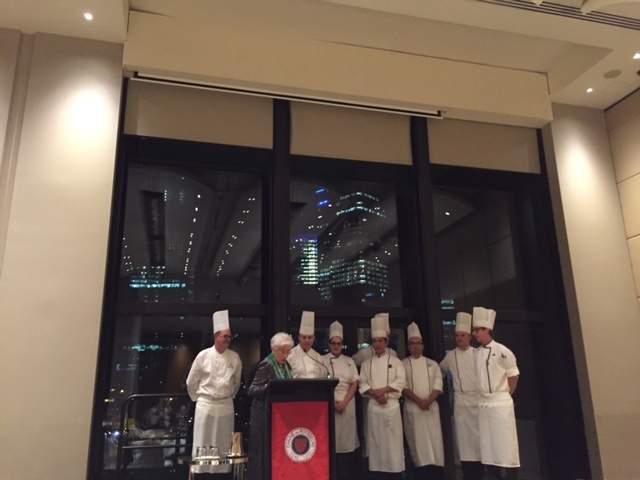 The main event was in the ballroom with four courses of a delicious menu created by Mark Holmes, Executive General Manager, Food & Beverage at Crown, Melbourne with his team of chefs with input from La Chaine & OMGD. 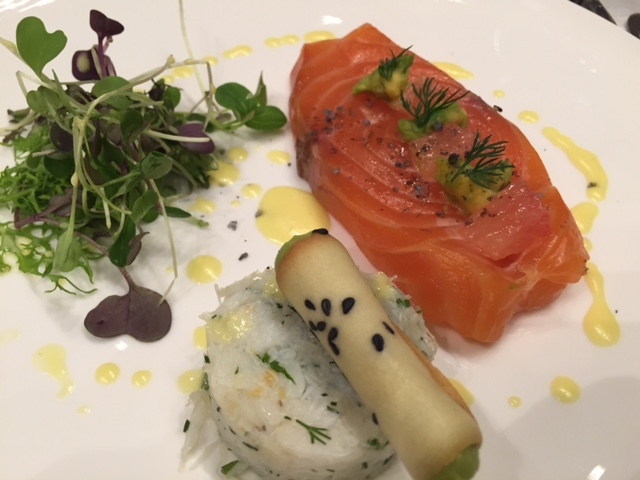 First Entrée: Cured Salmon and blue crab salad, avocado crisp with a yuzu dressing this was complemented with a 2013 Wagner Stempel Riesling Trocken – Rheinhessen, Germany. Both the second and third courses were spectacular. 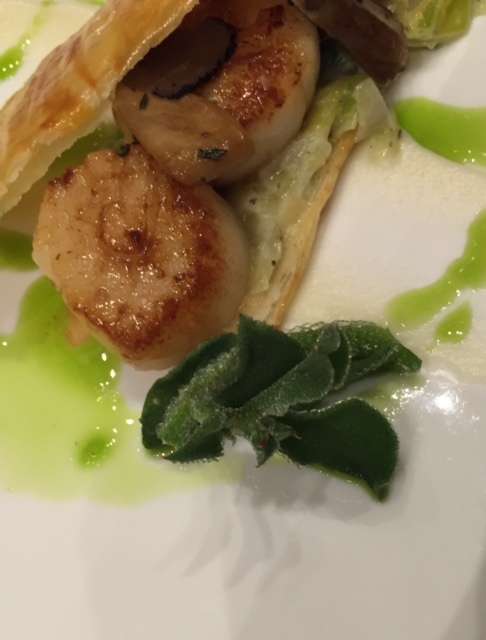 The second entrée was composed of pan seared sea scallops and cep mushroom croustade, truffle creamed leeks. This was paired with two exceptional wines though the 2013 Jean-Marc Pillot Bourgogne Blanc – Burgundy, France stole my heart. 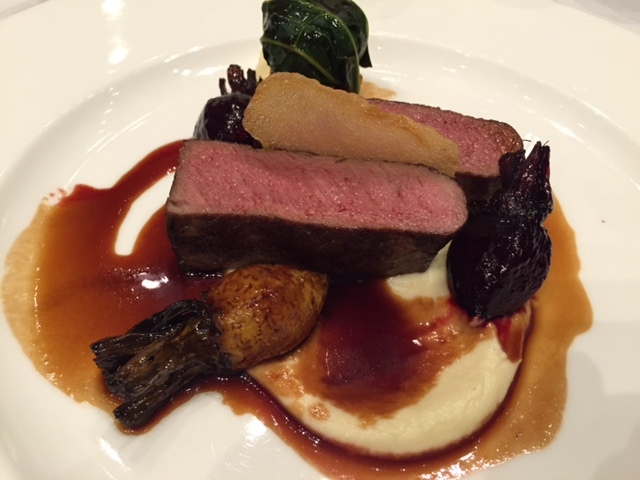 The main course was a roast saddle of venison, smoked celeriac cream, savoy cabbage, redcurrant and beetroot glaze. Many would say the hero that complemented this was the 2011 Senechoux Chateauneuf de Pape – Southern Rhone, France. However, my preference was the 2013 Ruggabellus Timaeus – from the Barossa Valley. 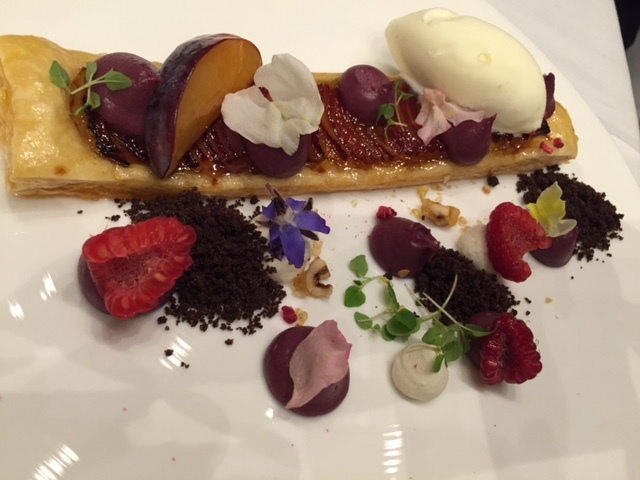 The evening wrapped up with an impressive Plum and almond tart with a citrus mascarpone ice-cream and a cassis gel — this had a fabulous ‘sticky’ to complement it being a 2010 Chateau Sigalas-Raboud, 1er Cru – Sauternes, France. Our gastronomic journey was complete. 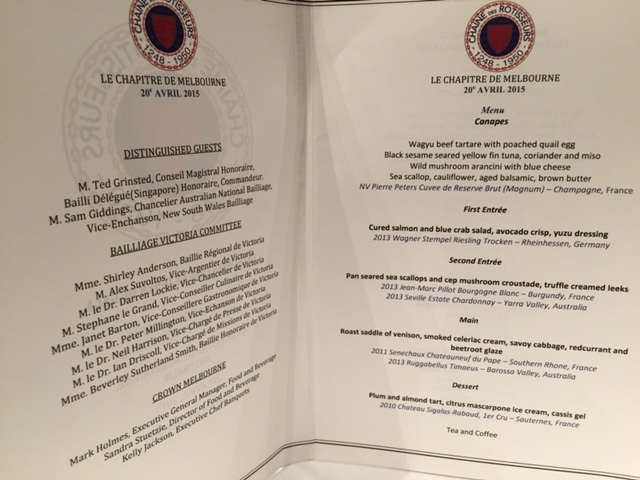 If anyone would like to get introduced into La Chaine des Rotisseurs please drop a line on my blog with your email and I will be in touch. All attendees who took part in the evenings proceedings. Shirley with the Kitchen brigade.